How Do the Apostles Really Feel About Digital Scriptures? First of all, I’m not privy to the meetings the members of the Quorum of the Twelve attend, and the minutes aren’t published. So I don’t know what they talk about amongst themselves. Over the last few years I’ve heard all kinds of opinions from members of the church regarding the proliferation of digital devices with scriptures loaded onto them. People’s views range from “I’ll stick to my sturdy hardbound scriptures, thank you very much” to “I’ll never go back! I love studying my scriptures on my iPad!” and everywhere in between. I’ve heard some people worry that missionaries won’t be able to use digital scriptures in the mission field so they’re being hobbled by using them in high school. Others feel like the note-taking freedom on a digital device trumps anything the hardbound version can offer. 1. The LDS Library app is an official app from the Church of Jesus Christ of Latter-Day Saints. Those ideas are under the direction of the Twelve as well as the Seventy. 3. The password to most wifi signals in most LDS buildings is widely known by church members with no real effort on the church’s side to hide it. 4. On a related note, a few members of the Twelve have recently started using Twitter. I know that many of you have your scriptures and other Church resources on your phones and tablets. And I’ve even heard that some parents and Church leaders are concerned about this newest development, but I am not. The Church has always adopted advances in technology to help push the work of the Lord forward. We began sending our missionaries on sailing ships in the 1830s, but we adopted the advances offered by steamships in the 1860s. And then we embraced airlines as the best means to get our missionaries to their assignments throughout the world in the 1960s. History does repeat itself in the most interesting ways. 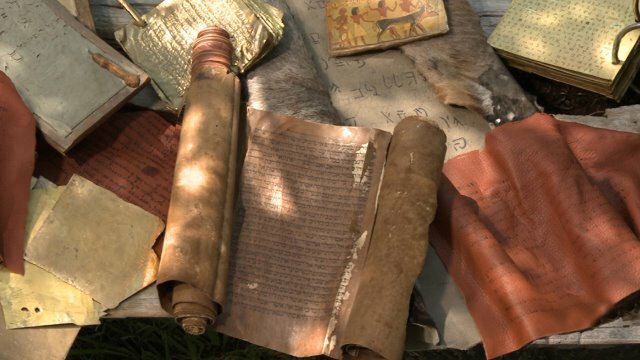 In the past, Israel preserved the words of the prophets on scrolls. At some point, the early Christians adopted the codex, the early version of the modern book. People are free to use their preferred set of scriptures. But I thought it would be interesting to see a little of what our church leaders have expressed so that we stay balanced in our view of how the scriptures can be studied. This entry was posted in LDS, Mormonism and tagged Be still and know that I am god, CES Fireside, David A. Bednar, digital scriptures, LDS, lds library app, Missionary Blogs, Mormon, MTC, The Church of Jesus Christ of Latter-Day Saints on May 14, 2014 by BJM.